Discussion in 'DPF Game Room' started by MerlinEmrys, Dec 15, 2017. Please join us as we embark on this epic 52-Week long journey! 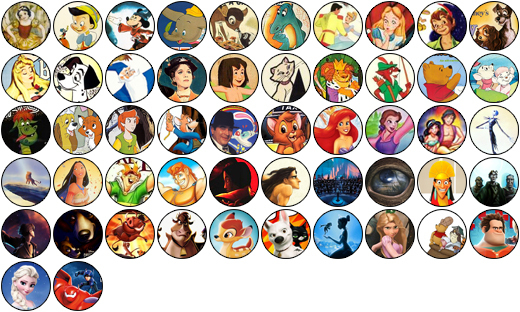 In this challenge, we will watch all of Disney's Animated Feature Films in chronological order (as well as a few bonus appearances!) and perform an in-depth analysis for each film! Please be sure to read the rules and check the first three posts before hopping in! But if you're late to the party, don't worry! Just pick up where we are and join the fun. There are a few “rules” that go along with this challenge. This isn’t so much something I’m going to enforce, really, but it will help the challenge go smoothly and (I hope) generate a really fascinating conversation. 1. You MUST watch the film FRESH (as in, specifically for this challenge) in order to do the analysis portion. Don’t do an analysis if you’re going on memory—nostalgia is the biggest villain to a good analysis… There will be a weekly schedule in the second post. Try not to get ahead if you can help it; and if you miss a week, don’t backtrack but rather just pick up with were we are. 2. To perform the analysis portion, you must answer at least 5 of the 10 questions in the third post. Please DO NOT post your analysis outside of the film’s window (that one-week span indicated on the schedule), but you’re welcome to post your analysis at any time during that window. 3. Everyone is welcome to participate in the discussion, whether you watched the film fresh or did the analysis, or are just passing through! But please keep the discussion on that week’s film. Jumping back to old films (or getting ahead) would be confusing to the current conversation unless you’re making a points about the present film. 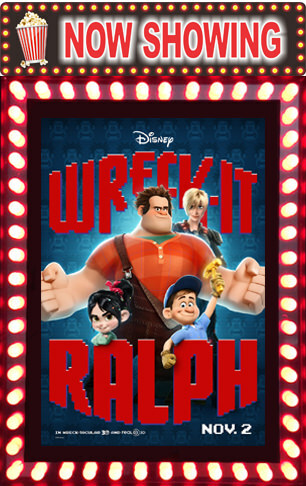 So for this I pretty much just went through the list of Disney’s Animated Feature Films. In the 40s, there were a lot of what’s called “package” films which were really just shorts, so I’ve condensed those down to a single week. I’ve also included a few live-action/animated combos that I think are worthy of analysis (like Mary Poppins). I’ve also included a few “partner” films like Nightmare and Roger Rabbit as I think they also have an impact on Disney’s canon. Finally, you’ll notice that there are no Pixar movies here. 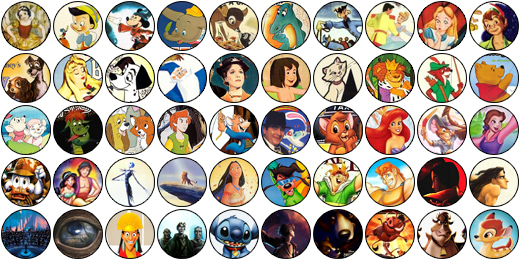 This was done purely for scheduling purposes as there are 56 animated features (plus the few extras I added) without counting Pixar’s films (an additional 19….). So maybe there will be a follow-up challenge for Pixar. But please don’t ask me to add them to the schedule as there just isn’t time. Finally, remember that this is just a fun challenge! If you can’t make it one week, don’t worry! Just hop in next time! Or, if you want to just pop in for your favorite films, go for it! You are in no way obligated or expected to complete every week’s film. But, it would be super fun to do, and you'll be eligible for the “completist” prize at the end. coblj003, Manta, watzshakinbacon and 2 others like this. The discussion begins on Post #1402!!! You can see the full schedule here on this Google Docs. In this post, I’ll keep up two months at a time. Remember! Please only post your analysis and/or comments during that film’s one-week window or the "wrap-up" day! That will help keep the conversation moving! For now, "wrap-up" comments and responses on the previous week's film is allowed on Monday of the new week only. Note: There's been an addition to Question 8! 1. 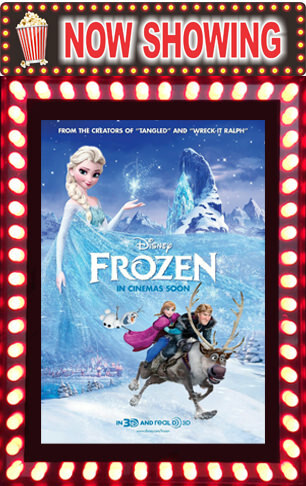 What is your overall impression of the film? Some possible talking points include: what you did or did not like about it; what about the film has stuck with you; what did you find different on this viewing; how would modern audiences respond to this (for the older films)… The list goes on. Hahah! 2. Choose one specific character to analyze. You can explore how a character acts, what they say, how they dress, etc. to explain what they may represent or their function and meaning in the narrative. Try to avoid obvious "plot" stuff (ex: the Evil Queen is a villain, so her purpose is to be bad...), but explore unique and specific elements about the character (ex: the EQ is surrounded by images of peacocks, further suggesting her obsession with vanity). You may also use these elements to explain why you connected or disconnected from the character. 3. Choose one specific scene or sequence to analyze—tell me what response is it trying to evoke from the viewer and how does it go about getting that response? Your analysis could include the scene’s use of color, action, camera angles, music, character development, setting, backdrop, style, etc. If you can justify it with evidence from the scene, then it’s an analysis! 4. Choose one song to analyze—tell me what response is it trying to evoke from the viewer and how does it go about getting that response? What purpose does this song have in the film and does it succeed in that purpose? 5. Choose one specific symbol in the film to analyze. A symbol is typically something inanimate, an object, rather than a character. So don’t say “Brer Bear represents dumb people,” as that’s more of a character analysis than a symbol. Rather, think about specific objects (jewelry, clothing, houses, food, weapons, etc.) What does this symbol mean and how does that meaning impact the film? 6. Choose a single line of dialog that you find to be the most significant/impactful line in the film and why. You can be a little loose with the “single line” bit, but let’s not go for Maleficent’s entire monologue to Philip... Rather, something like Stitch’s “This is my family. I found it all on my own. It’s little, and broken, but still good. Yeah – still good.” (brb weeping). 7. What is this film’s overall goal? Is it to teach a specific lesson (what is it) or get an emotional response (such as)? Or both? And how well or poorly does the film succeed in that goal? Be specific! 8. What connections or progressions do you see in this film to past films? Example: how does Sleeping Beauty progress (or digress?) the princess archetype built in Cinderella? Be specific! Also, consider what use there is in returning to or re-imagining those elements? 9. What is the iconic shot of the film? What single frame of animation do you find to be the most memorable and why? Post it! You can check out this link to find some great screencaps to help! 10. 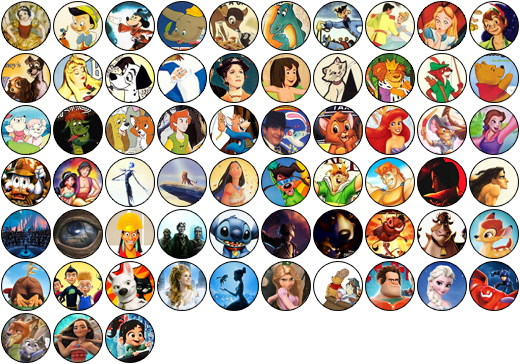 What single pin do you think best represents this film for you? Why? Give us the pin number and post a picture! If you complete even a single analysis, you will be awarded the Sorcerer Mickey Participation medal! Members who complete 26 or more analyses over the course of the year will be awarded the Participation medal AND the "Go the Distance" Half-Completist medal at the end of the challenge. 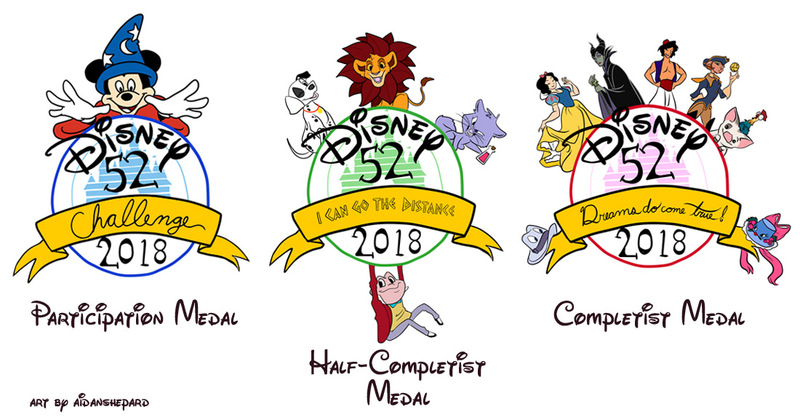 Those who complete 52 or more analyses over the course of the year will receive the "Dreams Come True" Completist medal AND the "Go the Distance" and Participation Medals! Currently, we are exploring options for a physical representation for the medal. Early ideas are a magnet or certificate or something of the sort that will be provided to each recipient. But more on that as the year goes on. And an extra huge thank you to our incredible artist, @AidanShepard for bringing the idea to life! The artwork is stupendous and I can't express how thankful I am for all the work you put into it! Those who complete each week's analysis challenge will get added to the board here! slbrabham, coblj003, Disneychildwithin and 2 others like this. Can't wait! I think I have many of these already! 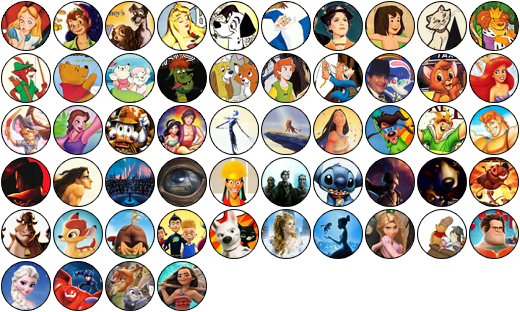 Oddly enough, I was planning on starting a collection of one pin from each of the animated films that stood out as an iconic moment from each one. This could be a fun collaboration. Also, side note, I just read they have remastered and are re-releasing The Dark Crystal this year. MerlinEmrys, coblj003 and Sami like this. I'm probably going to join in on this, though I don't own a lot of movies yet (especially the older ones) so it might get a bit expensive. Disneychildwithin, LadyBarclay, watzshakinbacon and 2 others like this. Oh my gosh you're brilliant........ I would never have thought of this!!! As a film student, this challenge was made for me! Last quarter, for a Film Adaptations class, I wrote a 12-page essay on the relationship between the original Sleeping Beauty and the live-action Maleficent. Yes, support your local library if you have one! GUYS, GUYS, IT'S A BUILDING FULL OF BOOKS, MUSIC, AND MOVIES AND THEY ARE FREE (to check out)!!! We practically live at ours. We could never afford to rent/buy all the books and movies we go through. PixiePost, coblj003, NutMeg and 1 other person like this. Good idea! I guess I'm stuck in the 80's, I never think of the library for movies. How funny! Awhile ago I had the idea of creating a collection of one pin of my favorite character from each movie. If you don't want to borrow but want to keep a copy, often Goodwill or other thrift stores sell DVDs. It may be hit or miss. I do this every year. We own all of the animated features (I'm slowly replacing my VHS copies) and watch them in order. It's fun to see the way the animation grows and changes. I will add to the discussion when I can but will follow my own schedule as sometimes I watch 5 in a week (I throw one on and fold laundry or craft while watching) or take a week off - especially during the 'meh' movie section of the list. I also include the Pixar movies in my list and it works for me. Wow, this is a cool challenge. Haha guess I can crack open the vhs tapes too and laser discs, hope the players still work. : ) Don't know if I have all of them. It would be Fun if we had a gathering place to watch it together as a meetup or classroom, guess it would be tough weekly. Hmmm....time to check which ones i have. Just checked on the first requirement, not sure how I'll find the movie FRESH, it's an older film.